Fresh Olives Display tub -add new dimension to your fresh food displays. 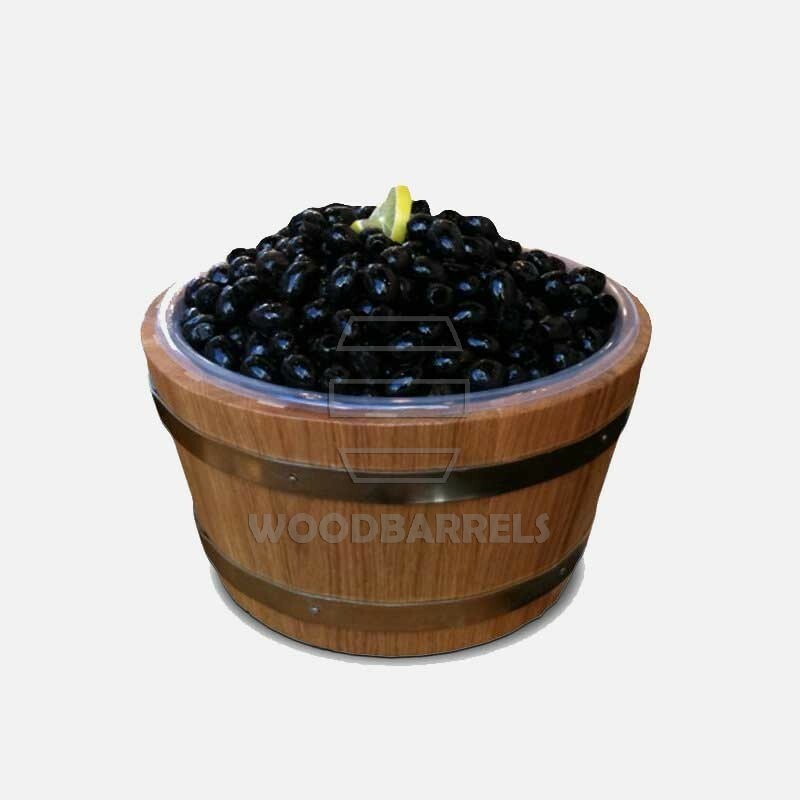 Our wooden Fresh Olives Display tubs will add a new dimension to your fresh food displays. These wooden display containers come with stainless steel inserts. Therefore they allow you to place the products back in the fridge at the end of a busy shop day. 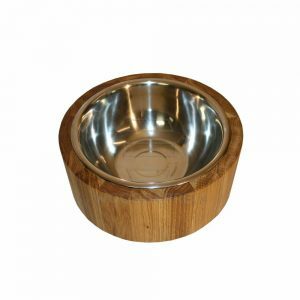 Stainless steel inserts also add a clean appearance to our Oak wooden display tubs and are easily removed for cleaning. They also come with a handle to give that traditional, authentic old farm look. 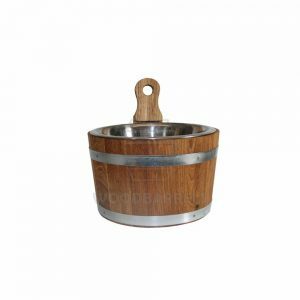 Use our Wooden Fresh Olives Dispaly Tubs in your fresh food display cabinets. Create eye-catching zones for salads, olives, antipasti, dips, pestos and Mediterranean foods. Our wooden containers are sure to help you create fresh food displays because they have that “wow” factor that will appeal to your customers. We supply to delis, farm shops, caterers, restaurants as well as bars throughout the UK. 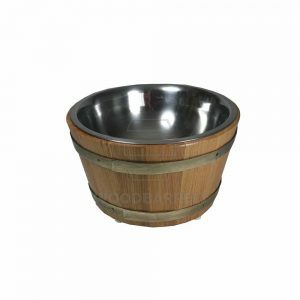 Our small wooden display tub will add a new dimension to your fresh food displays. 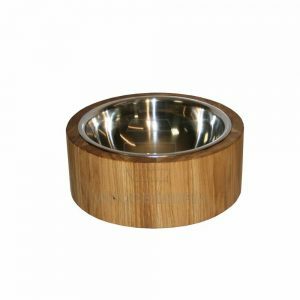 This wooden fresh olives display tub comes with 1.5 litres stainless steel insert which allows to place the products back in the fridge at the end of a busy shop day. Our medium wooden display tub will add a new dimension to your fresh food displays. 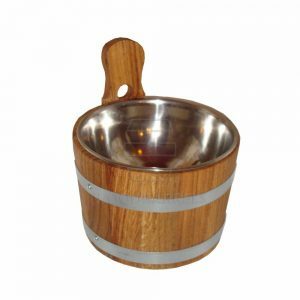 This wooden fresh olives display tub comes with 2.5 litres stainless steel insert which allows to place the products back in the fridge at the end of a busy shop day. 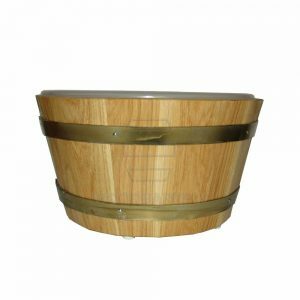 Our small wooden display tub will add a new dimension to your fresh food displays. 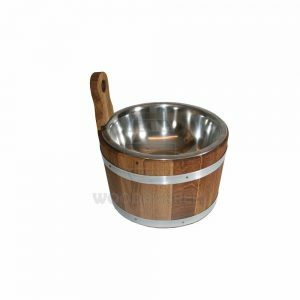 This wooden fresh olives display tub has a handle so it’s easier to carry around and it comes with 1.5 litres stainless steel insert which allows to place the products back in the fridge at the end of a busy shop day. 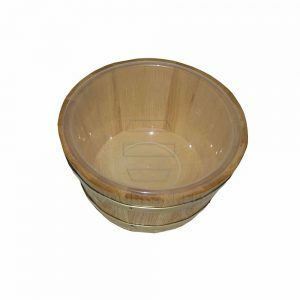 Our medium wooden display tub will add a new dimension to your fresh food displays. This wooden fresh olives display tub has a handle so it’s easier to carry around and it has a handle so it’s easier to carry around and it comes with 2.5 litres stainless steel insert which allows to place the products back in the fridge at the end of a busy shop day. Our large wooden display tub will add a new dimension to your fresh food displays. 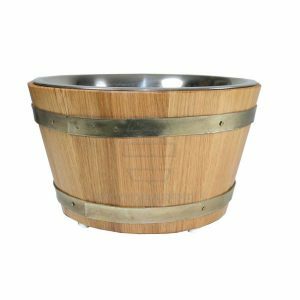 This wooden fresh olives display tub comes with 4 litres stainless steel insert which allows to place the products back in the fridge at the end of a busy shop day. Our large wooden display tub will add a new dimension to your fresh food displays. 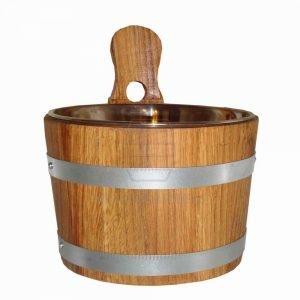 This wooden fresh olives display tub has a handle so it’s easier to carry around and it comes with 4 litres stainless steel insert which allows to place the products back in the fridge at the end of a busy shop day.